Teachers who bring their pupils into the outdoors find it makes their learning more enjoyable, challenging, active and collaborative, according to University of Stirling research published by Scottish Natural Heritage (SNH). 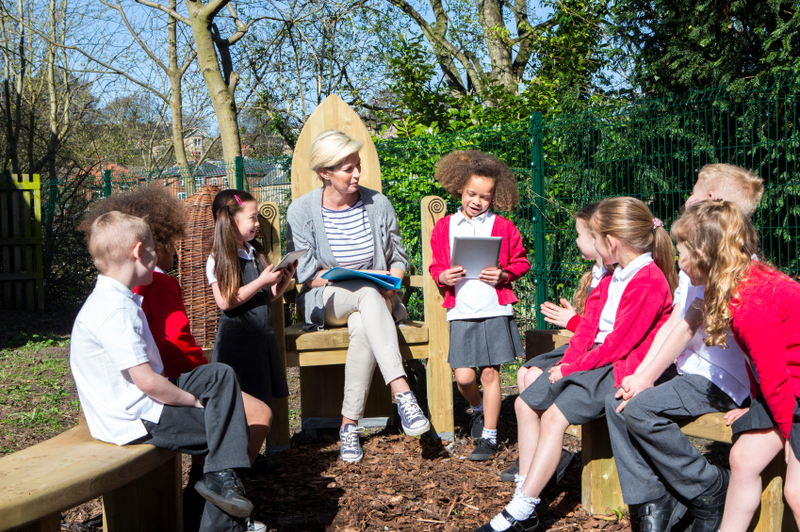 The study shows that outdoor learning in school and pre-schools has increased since Curriculum for Excellence was introduced but that further increases could be made. The survey of nursery, primary and secondary schools looked at over 1000 outdoor lessons and compared results from surveys in 2006 and 2014. Learning in green areas like parks, gardens, wildlife areas and woodland, as well as on residential outdoor trips, particularly increased children’s engagement and enriched the learning experience in many ways. Overall, the study found that there was an opportunity to make more use of local green places to give children time outdoors at little or no cost. Greg Mannion, from the School of Education at University of Stirling, said: "Our study shows that randomly sampled nurseries, primaries and secondaries are now providing more outdoor learning on average than in 2006, but what pupils get varies a lot from school to school and schools in deprived areas are offering noticeably less time outdoors." In nurseries, the vast majority of time outdoors was in the grounds, with only occasional trips made further afield. Primary schools increased outdoor learning, especially in school grounds and by going on more residential trips. Pupils in secondary schools have had only slightly increased provision since 2006 but appear to have less opportunity to learn in local areas or in the grounds. SNH Chairman Ian Ross said: "This is the second time that such a comprehensive study has been carried out in Scotland. It’s clear that there’s a positive trend and it shows that teaching outside, especially in green areas, benefits our children – it’s not just a lot of fun but it helps them learn. The challenge for those of us working in this area is to find ways to help schools and nurseries - particularly those in deprived areas - get out more and make the most of the benefits nature can bring." Suzanne Hargreaves, Senior Education Officer for Health and Wellbeing and Outdoor Learning at Education Scotland said: "Across Scotland, through Curriculum for Excellence, early learning and childcare centres and schools are providing children and young people with more opportunities to learn outdoors. This is having a positive impact on learners, increasing opportunities for interdisciplinary learning and personal achievement. Learners are more engaged which in turn creates better challenge and enjoyment. "Whilst these findings are positive we have some challenges ahead. Greater provision is required, particularly in secondary schools in order to capitalise fully on outdoor learning of all kinds, including residential experiences. Schools in areas of deprivation also face challenges in providing this type of learning. We will continue to work with schools and outdoor learning organisations to support practitioners in realising and capitalising on the benefits of outdoor learning, and to help ensure these opportunities are open to all learners across Scotland." The report, written by the University of Stirling, was commissioned by partners Scottish Natural Heritage, Forestry Commission Scotland, Education Scotland, Cairngorms National Park Authority, Loch Lomond & The Trossachs National Park Authority and Keep Scotland Beautiful. Full report: 'Teaching, learning and play in the outdoors: a survey of school and pre-school provision in Scotland'. Scottish Natural Heritage is the government's adviser on all aspects of nature and landscape across Scotland. Our role is to help people understand, value and enjoy Scotland's nature now and in the future. For more information, visit www.snh.gov.uk or www.twitter.com/SNH_Tweets.